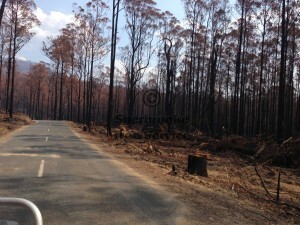 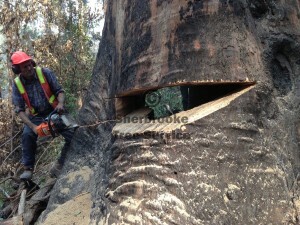 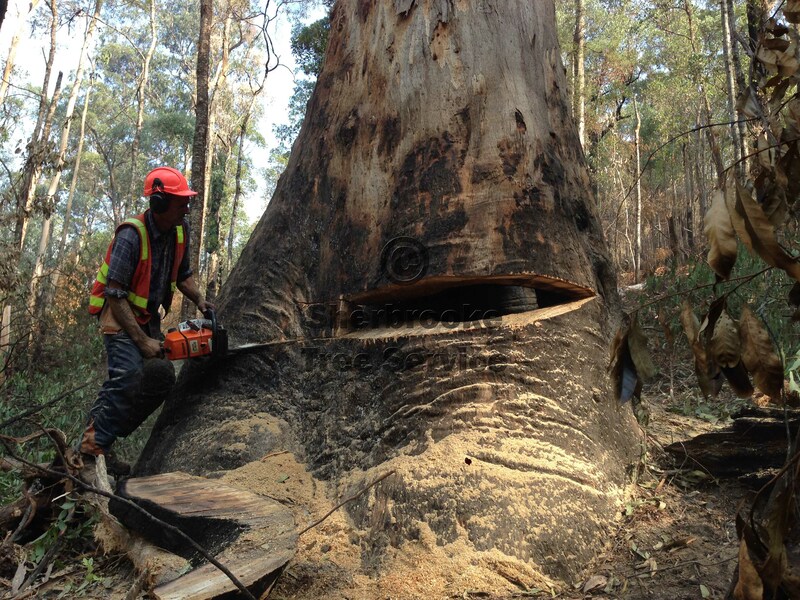 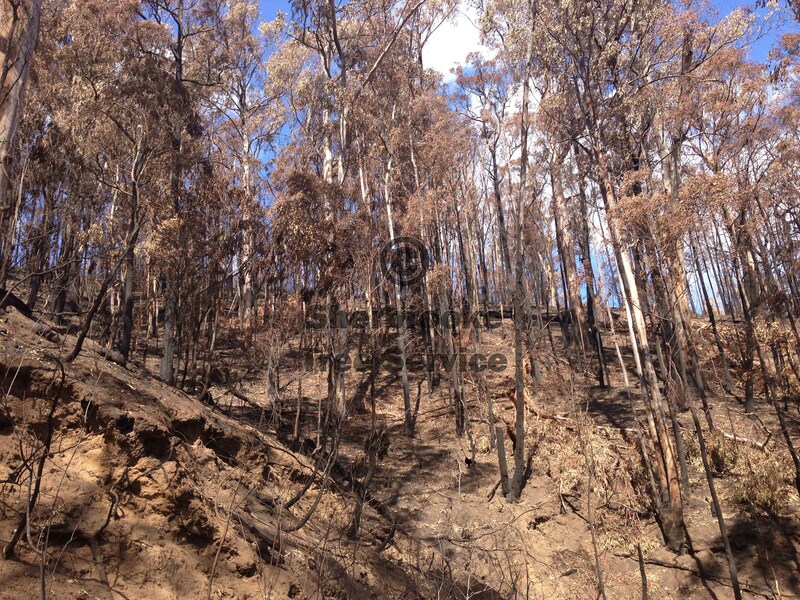 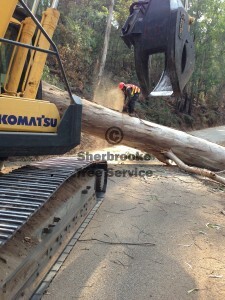 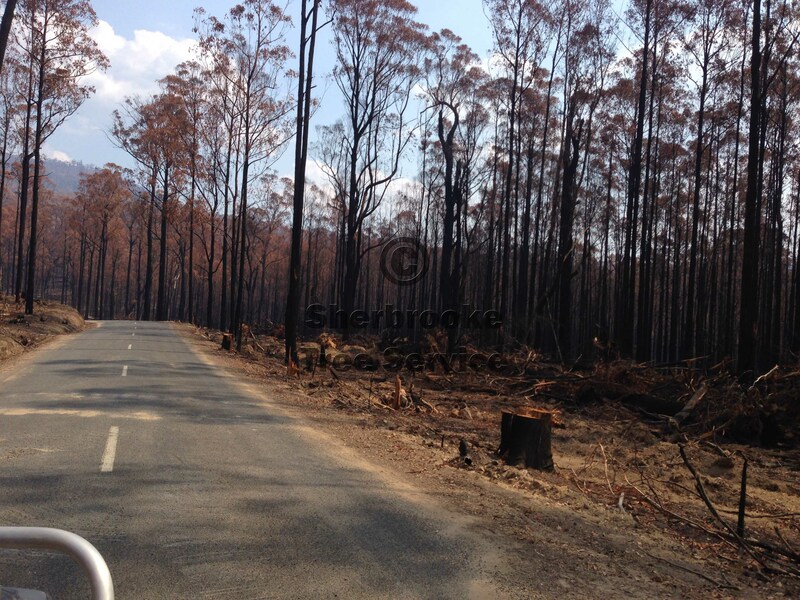 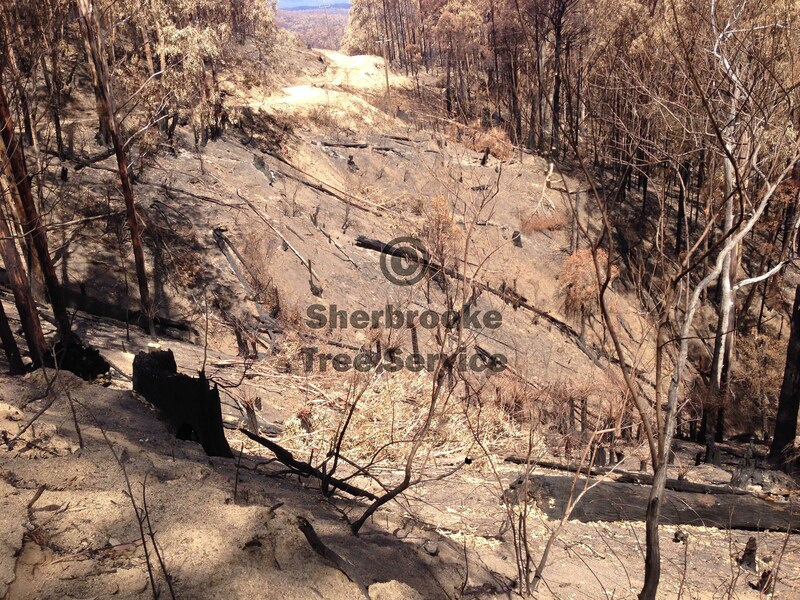 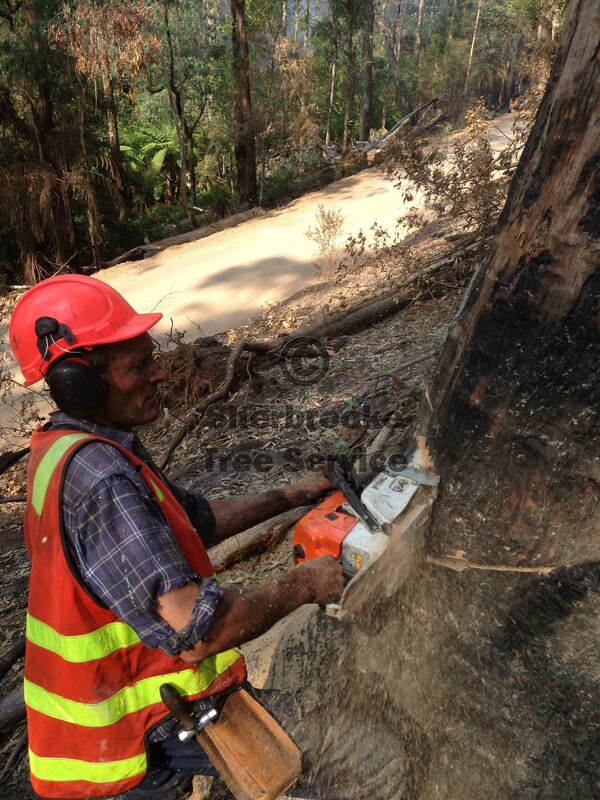 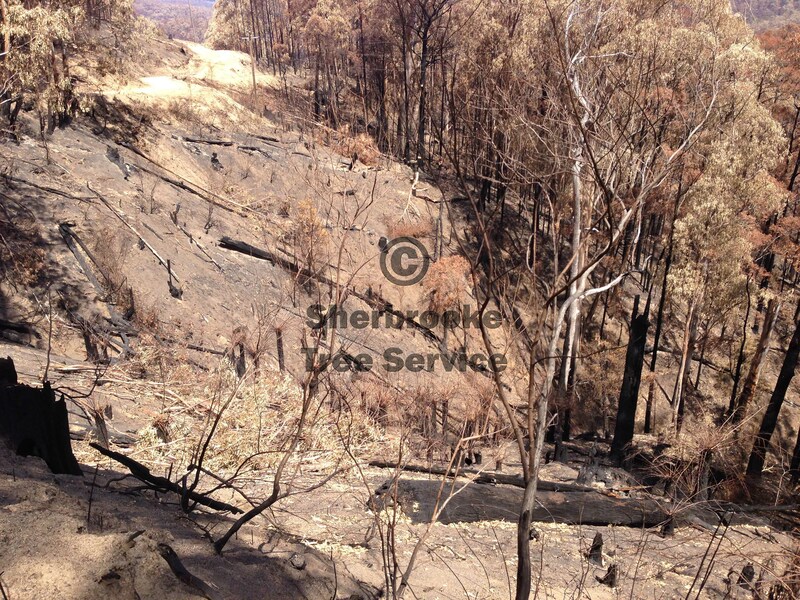 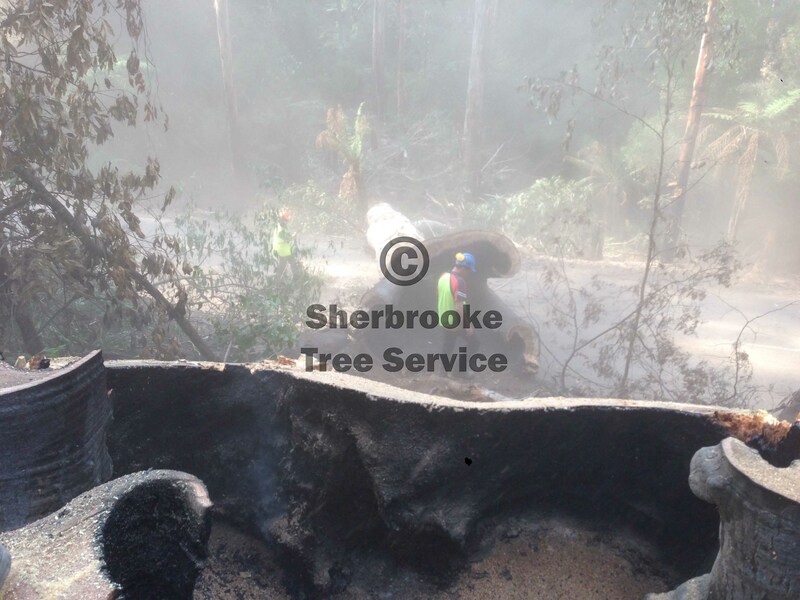 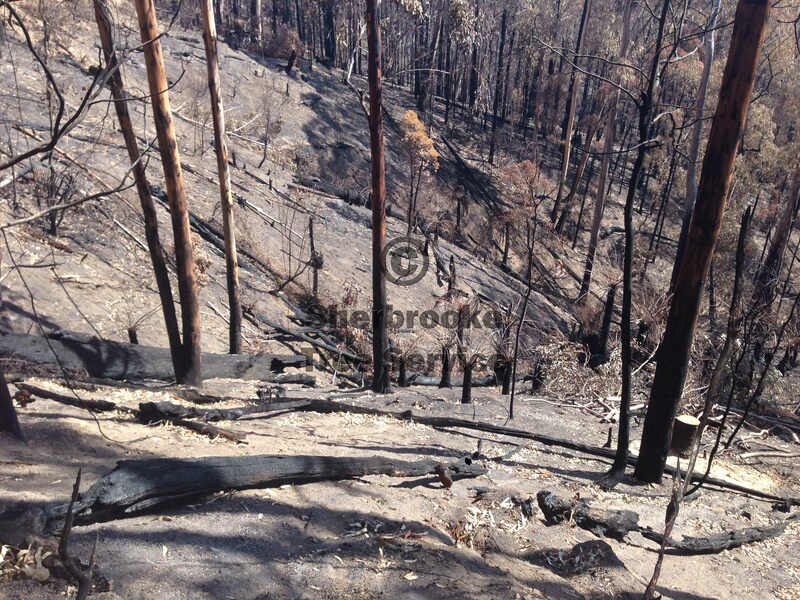 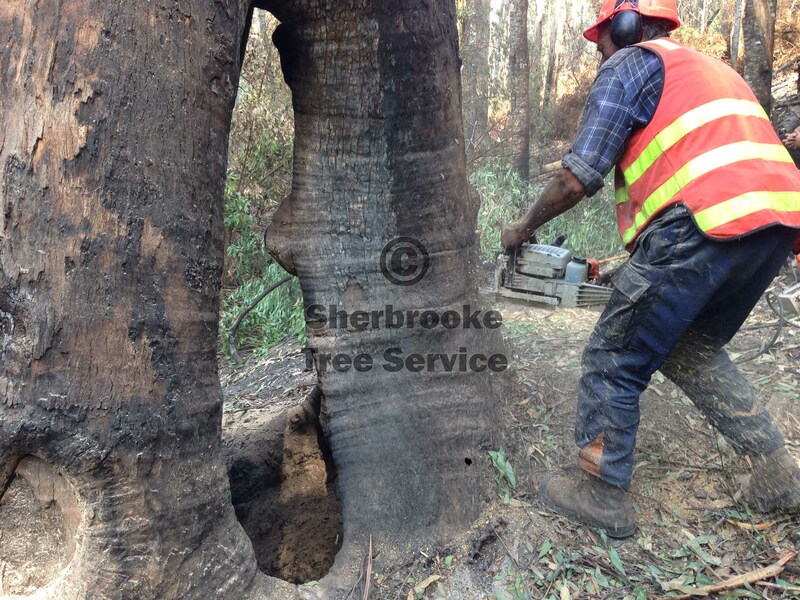 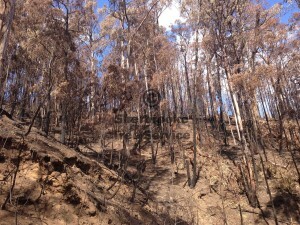 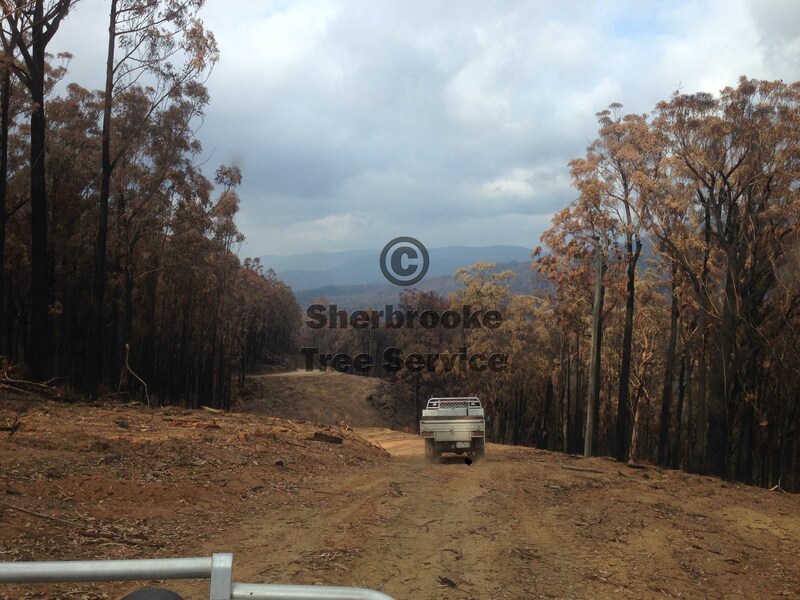 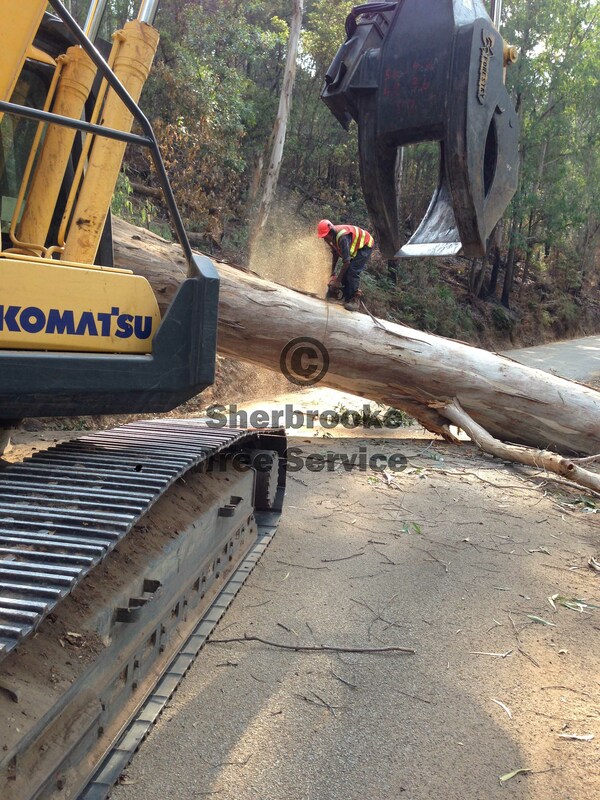 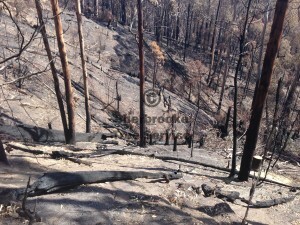 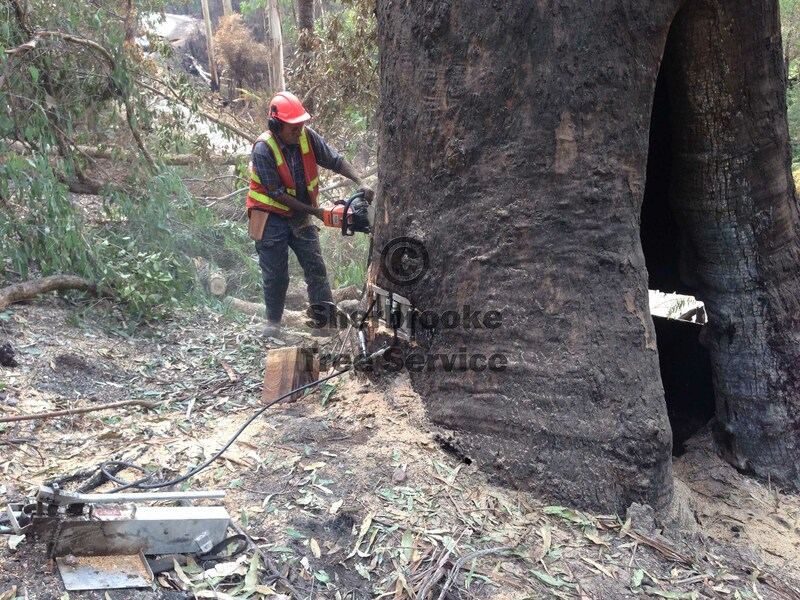 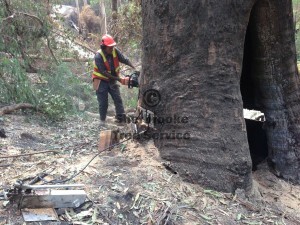 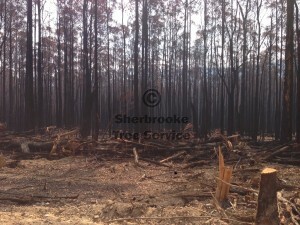 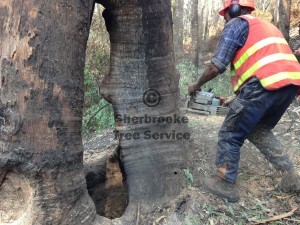 Sherbrooke Tree Service are specialists in managing bushfire cleanups of fire killed and damaged trees. 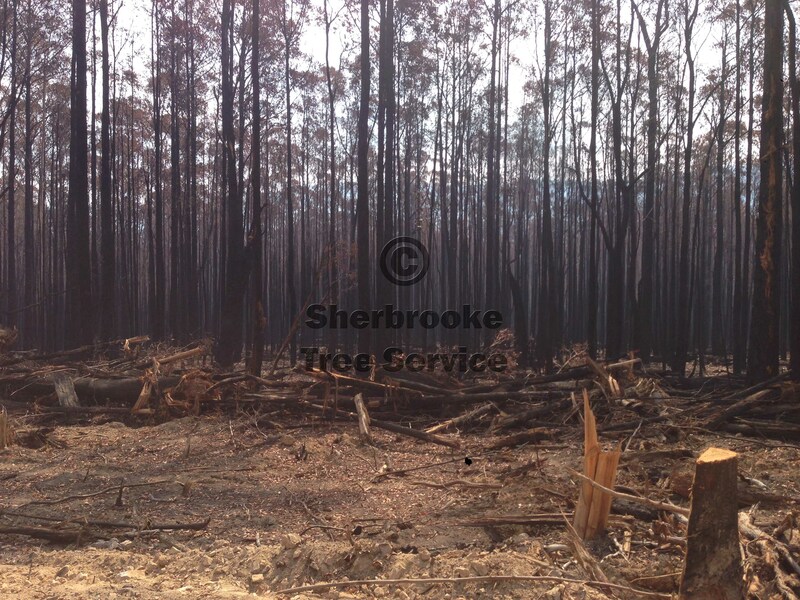 We attended a number of fire grounds during the 2013/14 fire season, assisting in the removal of dangerous trees. We have a number of tools at our disposal, least of all, 30 years of bushfire cleanup experience. 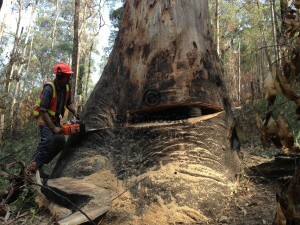 We also can use explosives on particularly dangerous trees that otherwise cannot be safely felled. Sherbrooke Tree Service travels statewide and interstate for fire work at the request of other companies, and local authorities.